CARSON CITY, Nev. -- Tax collections on recreational marijuana sales in Nevada have exceeded projections for the entire fiscal year in just the first 10 months since they became legal last July. 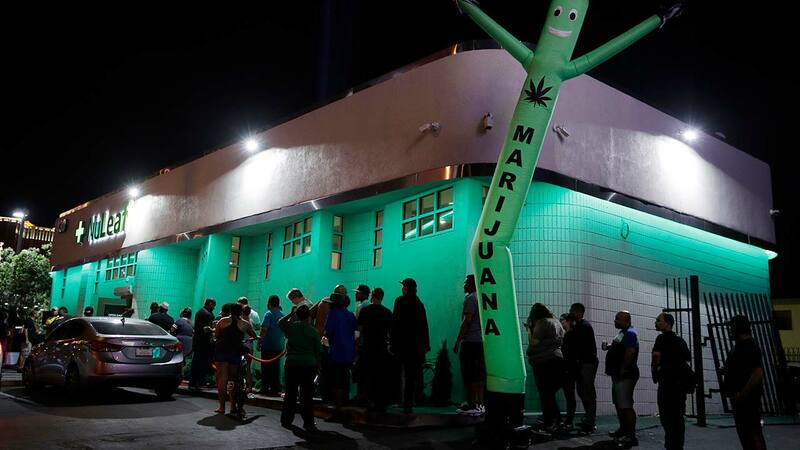 Nevada Department of Taxation Director Bill Anderson says the $6.5 million in pot tax revenues in April slipped a bit from the monthly high of $7 million in March. But the combined revenues from medical and recreational marijuana are now at 110 percent of what was projected for all of fiscal 2018 - a total of $55.5 million so far. Overall sales have reached $433.5 million. Anderson says taxable revenue from marijuana-related sales is growing about 17 percent faster than total sales tax collections. Sales of taxable products and services statewide are up $1.96 billion over the 10 months, while marijuana-related sales have increased $338 million.